Consolidating private student loans is a great way to save money on your monthly payments. Private student loans are notorious for having high interest rates. Therefore, consolidation can help you cut down on the money going out and start saving for other things. The consolidation process is similar to consolidating other types of loans, such as federal student loans. The process of consolidating your loans is not difficult, but it will require a little time. The first thing that you need to do is shop around. This will allow you to find the best rate on the loans and save yourself the most money. You should start by looking in your local market at credit unions and banks. Once you have explored the local market, check out the many resources online to find the best deal. Once you have located the best deal for you, filling out an application is the next step. Most of the time, the application process will go quickly and many companies allow you to apply online from the comfort of home. You fill out the application, wait on them to evaluate everything and then they will let you know if you are approved. 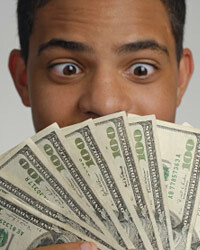 If you are approved, you will receive the money you need to pay off your other student loans. You will start making one monthly payment to your new lender for the duration of your new loan. Consolidating your private student loans offers you many benefits. For one thing, you will be able to eliminate the number of payments that you have going out each month. Making only a single payment each month will simplify your life and allow you focus your energies on other things. In addition to eliminating paperwork, you can also save money. Since you are shopping around in the private marketplace, you may be able to find a lower interest rate than you were previously paying. This type of lending is based on your credit history. Therefore, if you have a good credit score, you should be able to get a pretty good rate on your loan. Besides lowering your interest rate, the term of your loan will reset as well. Having more time to pay off the balance will also make your monthly payment smaller. Anytime you can cut back on monthly expenses, it will help you in other areas and make your financial situation more flexible. While private and federal loans both can provide for your education, consolidating them differs in a few ways. When you consolidate a private loan, you cannot use a federal loan to consolidate them. This will mean that you might have to pay a higher interest rate for the consolidation. Federal loans are not approved based on your credit score. Therefore, many more people can qualify for the money they need to consolidate. With private loans, everything is based on your credit history and your ability to repay the loan. FAQs about Consolidating Student LoansEligibility Rules for Private Student Loan Debt ConsolidationThe Risks of Consolidating DebtIs Consolidating Debt onto One Credit Card a Good Idea?